Watching Durham Bulls Baseball: Snakebit! 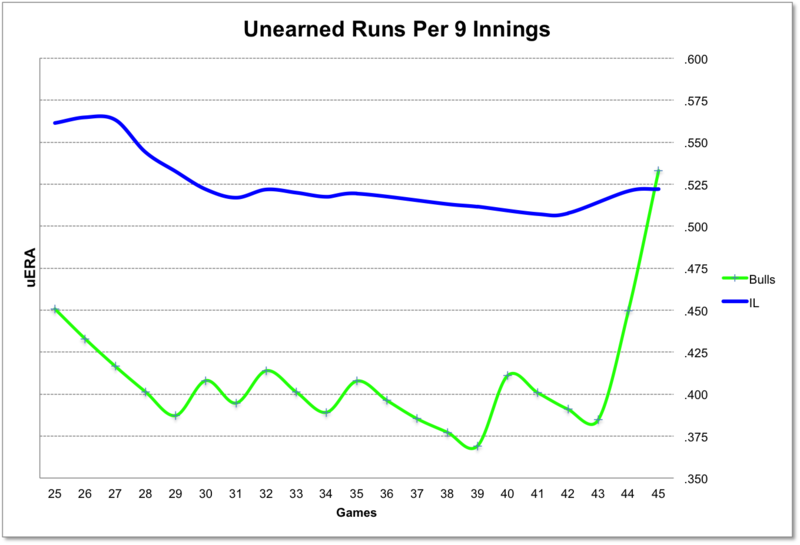 Bulls coaches should be concerned with the dramatic rise in mistakes by their position players. 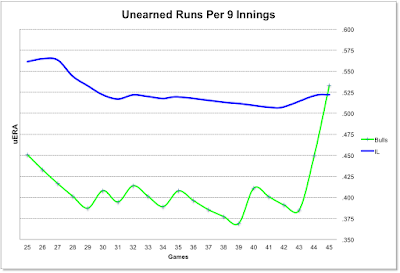 In the last two games Gwinnett scored 7 unearned runs, running up the Bulls' very respectable uERA (unearned run average) of .385 to .533. Yes, the roster has been chaotic, but this is very worrisome. On a side note, changing their name hasn't made a difference for the "Stripers" down at Coolray Field. The stands were essentially empty for all four games (paid attendance around 1,300 each game).